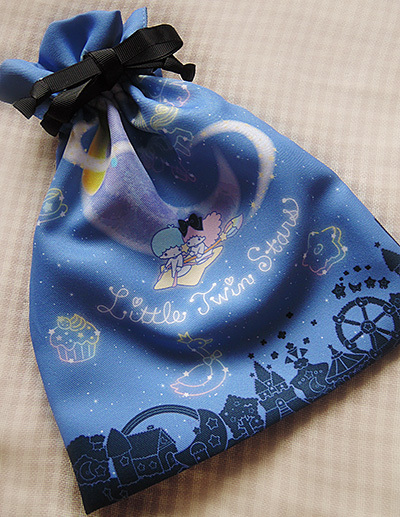 I got a drawstring pouch of Kiki & Lala. 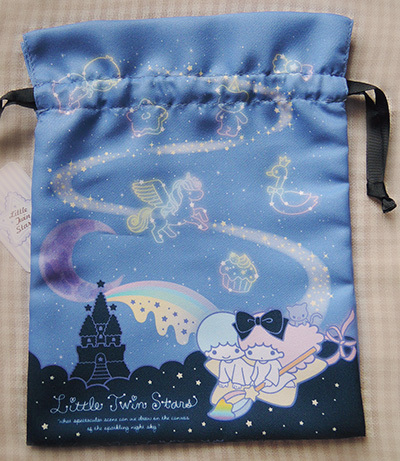 They look like playing around the midnight sky, and Lala is painting magic rainbow by huge broom-like brush. They look like a cute wizard and witch with tiny black cat. 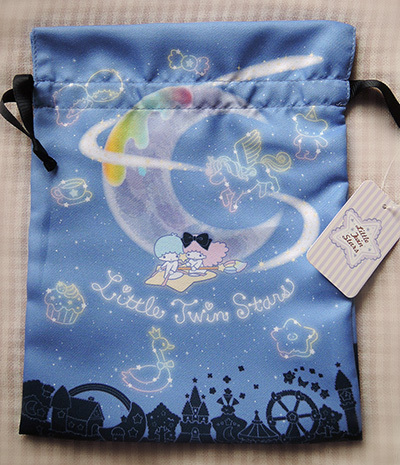 I hope that Sanrio continues making night starry sky series for us – for grown-up girls!